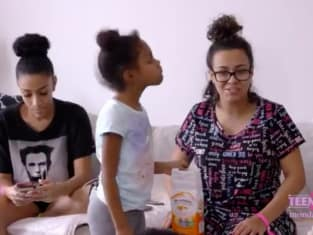 Did Briana and DeVoin manage to put the past behind them? That was addressed on Teen Mom 2 Season 9 Episode 31 when she continued to press on with her plan for recovery. Meanwhile, Leah received an update on Ali's condition after a visit to the doctor, but what did she learn? Also, Adam violated his visitation agreement, and Chelsea took hard and fast action upon learning about it.